QR codes (simple/old) everywhere – but what are they good for? - The PC-oriented websites visible on mobile phone, but difficuiles, always left, right, up, down, impracticable. The so-called Smart-QR Code gives you a newly found innovative opportunity to increase the effectiveness of your campaign and marketing.The Smart QR Code is a unique solution that enables you to rather uniquely change or modify the online content the code stands for. Only your imagination can limit its countless fields of use as the contents of QR Codes created in the S-QR system can easily be modified on a user-friendly interface by entering different parameters. The system lets you change the online content periodically and in any way you wish while leaving the printed code unchanged on your fliers, publications, billboards, etc. Thus you can react to changes in the course of your campaign, and you can convey multiple information content in a very cost effective way, since there is no need to print new materials if you want to change the online content the code refers to (e.g. daily deals for hotels, etc.). You can still reach your clients and partners any time using the S-QR codes without having to generate a new code and send it to them.This system opens up new perspectives in the field of both online and offline marketing, helping you to fundamentally change and make your marketing or any other material more effective and provide your customers with up-to-date information. This can not be done using traditional static QR codes. With the rapid development of mobile technology, more and more QR codes appearing in all walks of life. 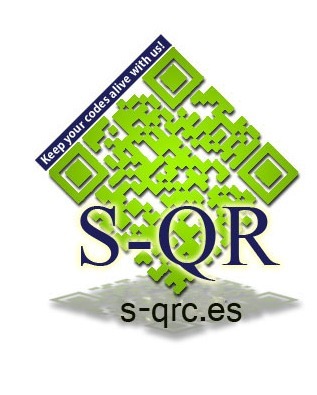 The module of the unique QR code generator of the S-QR system provides an option to turn a traditional black and white square-shaped QR code into an eye-catching QR code, which can also function as a unique corporate identity. Customized QR codes can grab the visitors’ attention more, you can bring them closer to your advertisements and offer to encourage them to use the unique code, to scan it, thus enhancing their effectiveness. Campaigns can be more successful due to the use of colourful, eye-catching, custom-designed codes as everyone would want to know what is “behind” themUsing your logo and your colours in the codes as profile elements displays a sense of assurance for people to use them. It is also an excellent tool to maximise your customers’ confidence in your brand and to strengthen your brand identity. The unique QR Code Generator is available for our clients from the S-QR system.